The 39th Annual Northwest Bach Festival with Zuill Bailey, Artistic Director, will begin 12 days of musical excitement with Festival Classics Concerts, Twilight Interlude Concerts, two Special Festival Events with music and films, Flash-Bach! appearances, a Grand Festival Celebration Event and more. It runs from Tuesday, February 21 and continues through Sunday, March 5 at a variety of Spokane venues. 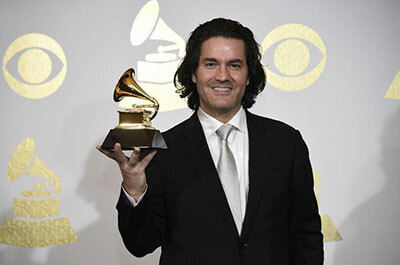 Zuill Bailey won a Grammy award yesterday for best solo instrumental performance for his work on 'Tales of Hemingway' which he will perform during the Bach Festival, at an event March 2 at Barrister Winery. Details and ticket information are at www.nwbachfest.com. The annual KPBX Recordings & Videos Sale is set for Saturday and Sunday, February 25 & 26 at the Lincoln Center, 1316 N. Lincoln St. This fundraiser for Spokane Public Radio features other music and film formats too, including CDs, DVDs, tapes, and the equipment to play them all on. The big attraction has always been vinyl records and 45s. 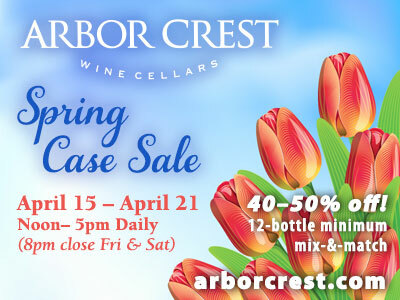 Hours are 9am to 5pm on Saturday and 11am to 5pm on Sunday. KPBX first held the sale in 1990 with a few boxes of donated items displayed at REI. Back then, the music and news station was only 10 years old and CDs had just started outselling vinyl. The sale has grown to hundreds of boxes, moved with help of Spokane Movers. For more information, visit kpbx.org. Taste Spokane is an annual fundraising event benefitting the Wishing Star foundation. This event is open to the public and will be at Northern Quest Resort & Casino in Airway Heights on Friday, February 24 from 7 to 10pm. General Admission ticket prices are $60 and VIP tickets are $100; VIP tickets include early admittance, guaranteed seating and exclusive perks. Event attendees sample products from some of Spokane's most acclaimed restaurants, regional wineries, breweries, and dessert purveyors. In addition to great food and spirits, local children and families impacted by the Wishing Star Foundation will share their stories about hope and perseverance, followed by a live auction and paddle raise. 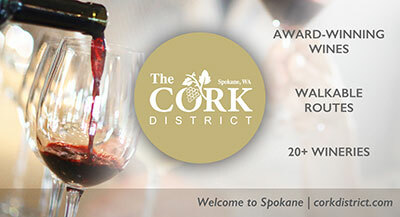 For more information about Taste Spokane or to purchase tickets, visit www.tastespokane.com. Spokane SCORE Chapter 180 presents this week's workshop on Strategies for Small Business Marketing and Sales this Wednesday, February 15 from 5:30-9:30pm. Gain insights into how to identify your prospective customers, how to attract them to your business, and how to get them to buy your products and services. Each workshop requires a minimum of three registrants. If you are enrolling a day or two before the workshop is scheduled, or plan to enroll at the door, contact the SCORE office to find out if the minimum registration criteria has been met. Cost is $25 each with $15 for an additional person from the same company. Location is 2916 N Monroe, in the Rogue Heart Media Studio. To register, visit www.scorespokane.org. This year's Inlander Restaurant Week, sponsored by Numerica Credit Union, marks the biggest one ever with over 100 participating restaurants throughout Spokane, Spokane Valley, Liberty Lake, Post Falls and Coeur d'Alene. Each restaurant week dinner features a 3-course menu priced at either $19 or $29. Pick your favorite option from each course and look for drink specials featuring local beer, wine, cider and coffee. 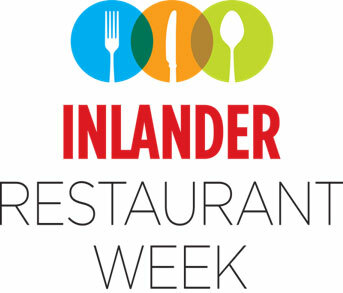 For more information, visit inlanderrestaurantweek.com. Veteran Spokane litigators Bill Schroeder, Jane Brown, Gerry Kobluk and Will Schroeder founded a new law firm, KSB Litigation, which opened last November at Suite 210 in The Old City Hall Building, 221 N. Wall. Also with the firm are associate Anne Schroeder, and Senior Counsel Pat Miller (Coeur d'Alene office) and Dave Broom. In addition, beginning March 1, Yvonne Kobluk will relocate her practice to KSB, and longtime Spokane attorney Andy Smythe and retired Superior Court Judge Jerry Leveque, will associate with the firm. The firm's practice is limited to civil litigation, and some family law, representing both plaintiffs and defendants. Mediation and other neutral services are also available. The 19th Annual Spokane Golf & Travel Show is coming Saturday and Sunday, February 18 & 19 to the Spokane Convention Center. It has demos from golf manufacturers including Ping, Adidas, Callaway Golf, Cobra TaylorMade and more with the latest models from the PGA show in Orlando. And every adult paid admission will receive a free round of golf from Spokane's Fairways Golf Course and a variety of courses. Plus free golf clubs for kids in the Kids Zone. Tickets available through Ticketswest. For more details go to spokanegolfshow.com. Providence Health Care (PHC) in eastern Washington, CHAS Health and the Spokane District Dental Society are teaming up to help bring dental care to nearly 12,000 low-income adults in Spokane County. The organizations are working together to establish a dental residency program in Spokane and build two new dental clinics that will increase access to dental services for underserved individuals in the community. The organizations are launching a major dental initiative that includes three key components: A dental residency program that will train up to six dentists per year; a large outpatient dental clinic near Providence Holy Family Hospital; and a smaller hospital-based clinic at Providence Sacred Heart Medical Center. Dental residents will care for patients at both locations. The outpatient clinic will focus on routine and preventive care for the general adult Medicaid population. The hospital-based clinic at Sacred Heart will care for those with significant medical issues such as cardiac disease, cancer and dementia. The dental residents will practice alongside expert supervising dentists at both locations. Hospital dental residencies are common in major medical centers throughout the United States. However, this will be the first of its kind in eastern Washington. 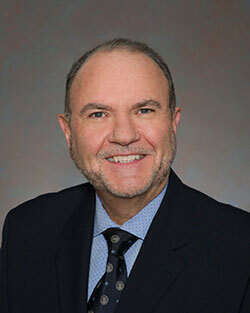 The Heart Attack & Stroke Prevention Center in Spokane has announced the addition of Pierre Leimgruber, MD, FACC to its clinical team as a specialist in the prevention of cardiovascular disease, starting on April 3. Previously, Dr. Leimgruber worked for 32 years as an interventional cardiologist, affiliated with four leading Spokane hospitals. In his new role Dr. Leimgruber, who also serves as Clinical Associate Professor of Medicine at University of Washington School of Medicine in Seattle, will check patients for hidden heart-attack-and-stroke risk using the comprehensive, science-based Bale Doneen Method employed by hundreds of practitioners worldwide. For more information, visit thehaspc.com.